I hope all your wishes and dreams come true today and in the coming year. Happy Birthday, niece! If not for awesome nieces like you, our family would be dull and lifeless. 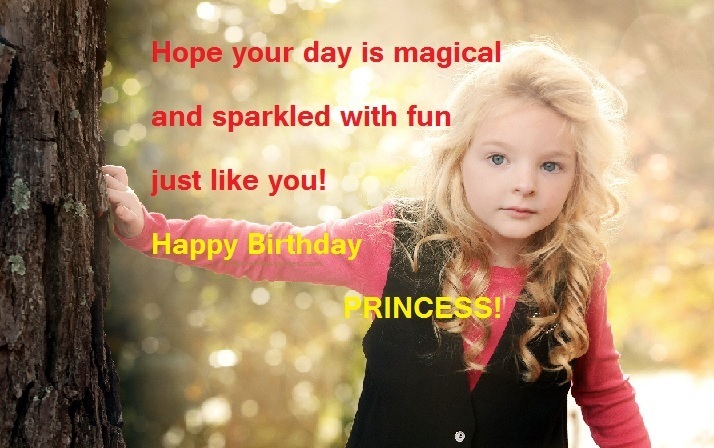 Happy birthday to my wonderful niece. The most precious gem in the world is not a sapphire, emerald, ruby or a diamond. The most precious gem in the world is you, my niece. Happy birthday. If your mom doesn’t allow you to have a big party tonight, then call me, and I will make a few arrangements. And don’t feel guilty, aunts are officially allowed to spoil their nieces. Happy birthday. I am here in your life for a purpose—to spoil you, pamper you, indulge you, fuss over you, and allow you to do all those things that you parents don’t. Happy birthday from your uncle. Aunts and nieces are best friends related by blood. 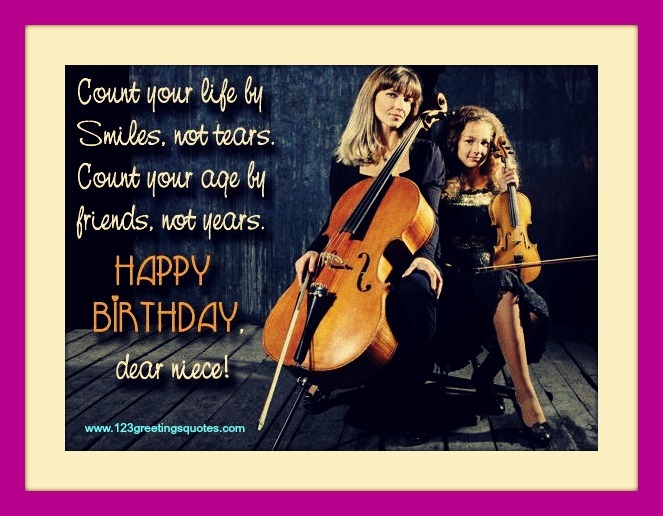 Happy birthday, dear niece. 1 Birthday Messages Neice If I ever had a daughter, I would want her to be exactly like you. Happy birthday from your favorite uncle. 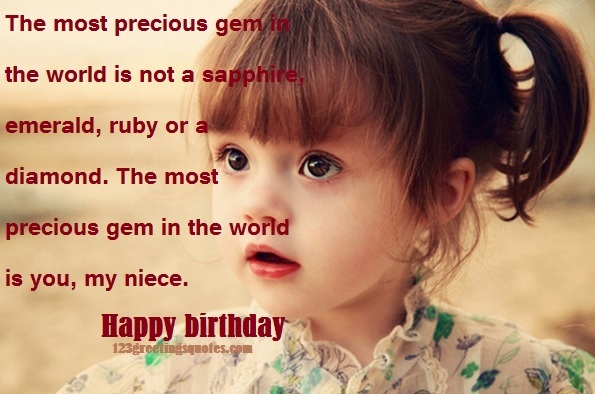 1.3 Birthday Wishes For Baby Niece Just the thought of how adorable a niece that you are, keeps me warm even though, from each other we are far. Happy birthday. If I ever had a daughter, I would want her to be exactly like you. Happy birthday from your favorite uncle. Every year on your birthday, I am reminded of how time flies. It feels like only yesterday that I first held you in my arms, and now you have already grown into a beautiful young woman. Happy birthday, sweetheart. Your mom gave me a wonderful niece. I hope I will return the favor to her in the future. Happy birthday. I promise to grant you every item in your birthday wish list that your mother refuses. That’s what uncles are for. Happy birthday, dear. The problem with having a niece like you is that I have become snooty. I can’t help but show you off to everyone I meet. Happy birthday. I wish I had been as pretty and talented as you when I was your age. Happy birthday to my lovely niece. I hope I can always be a better agony aunt that the ones in Cosmopolitan, Marie Claire, or Elle magazine. 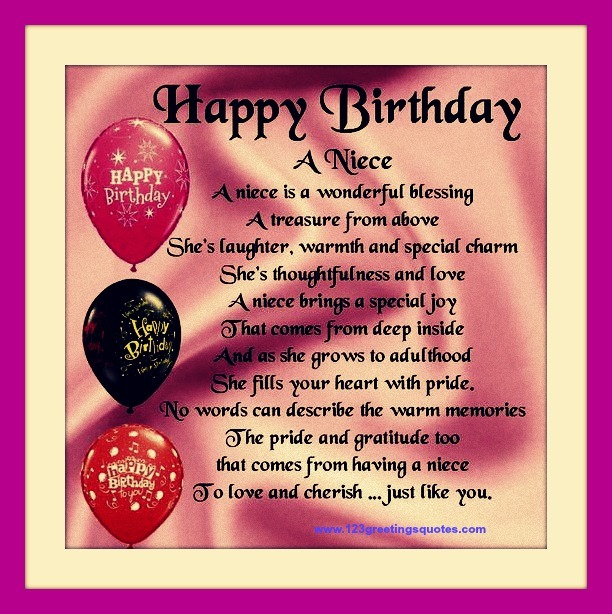 Happy birthday to my darling niece. I think God deliberately didn’t give me a daughter because he saw that I already have an awesome niece—you. Happy birthday. You are the pulse of every family Christmas dinner, heartbeat of every family reunion, and breath of every family party. Happy birthday to my precious niece. You become my best friend when I need someone to talk to, my daughter when I feel like being motherly, and my best critic when I dress up for a party. Happy birthday to my all-in-one niece. Just the thought of how adorable a niece that you are, keeps me warm even though, from each other we are far. Happy birthday. God gave me a niece like you so that I could take a trial run of fatherhood. Happy birthday, darling. Along with being your agony aunt, I also get the right to be your official date screener. I am looking forward to your late teens and twenties. Happy birthday. Every time I get promoted in my job, you should celebrate because you’re the one I’ll buy a present for with my raise. Happy birthday to my favorite niece. The best thing my sister ever did in her life was to give birth to a princess like you. Happy birthday, sweetie.